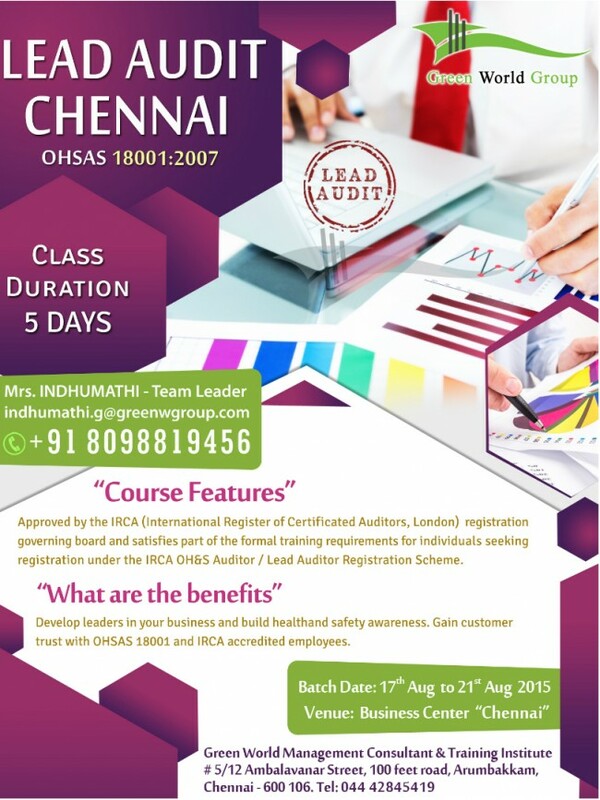 Green World Group offers for IRCA approved lead auditor course in Mumbai at affordable cost. This course is specially designed for all students, safety professional, professors etc. Green World Group is the finest educational safety training course provider and consultant which is conducting the following courses, Nebosh, IOSH, HABC, HACCP, IRCA lead auditor training, Diploma in Offshore safety course, Diploma in Fire engineering and safety environmental courses, ADOSHEM etc.